It wouldn't be right to post one side of the stadium and ignore the other. 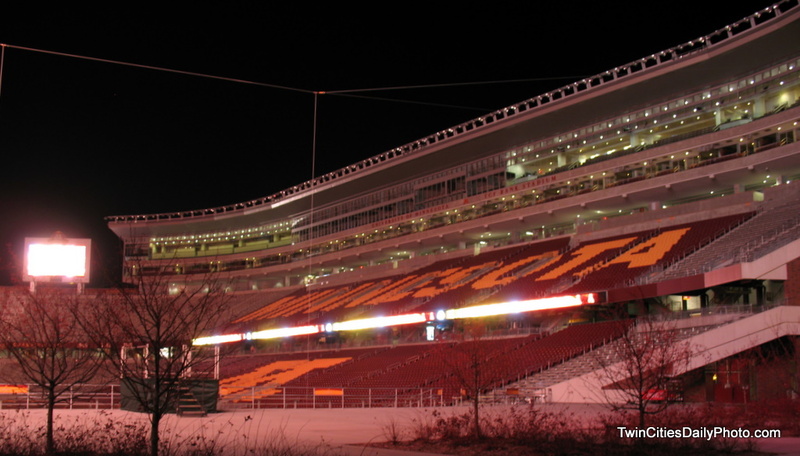 This is the south side of the new TCF Bank Stadium. There is a bit more character on this side with a few more levels, the press box is there somewhere and who knows how many of those are suites.